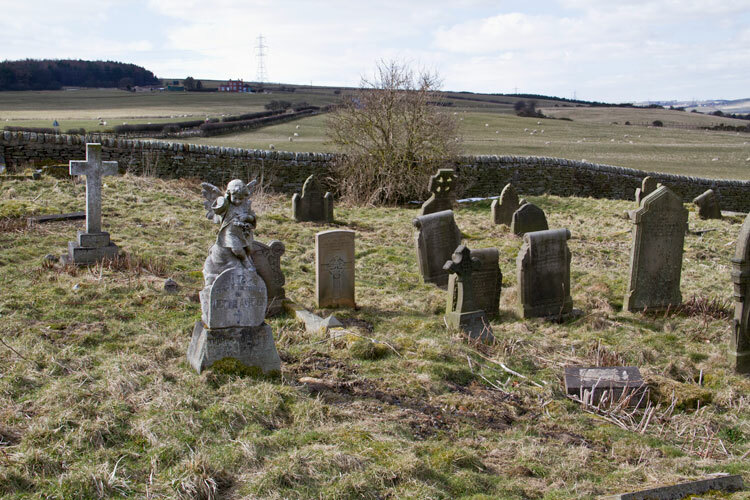 Brandon (St. John) Church Cemetery, contains 11 burials from the First World War and 2 from the Second World War. 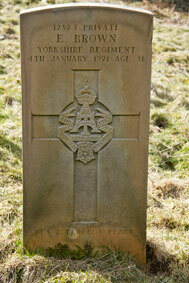 One of the First World War burials is of Private Edward Brown of the Yorkshire Regiment. The cemetery is located in Pit Lane at the top of Brandon village. 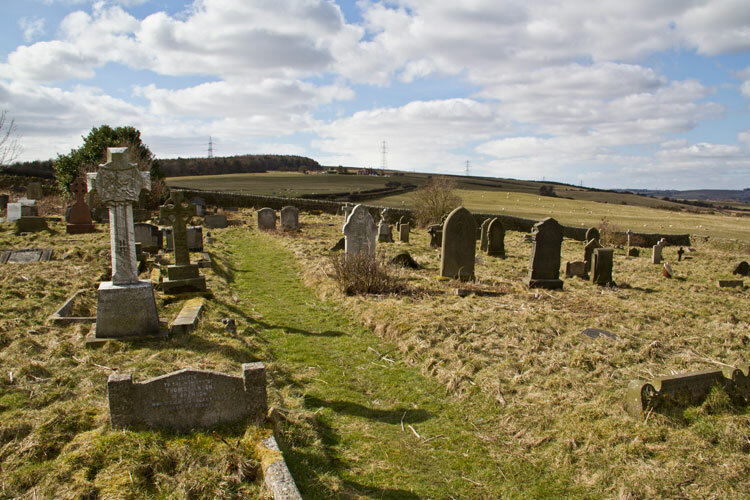 The cemetery is in a very neglected condition, and officially there is no access due to mining subsidence. Although there are several notices to inform you that access is not allowed, it is quite apparent that visitors do enter this cemetery and there are clear pathways at the North Western section of the cemetery where the bulk of the Commonwealth War Graves are located. 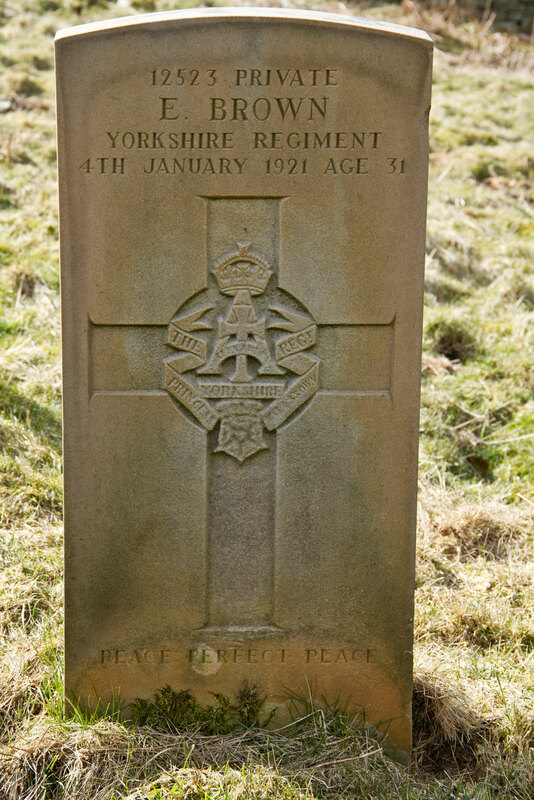 2nd Battalion the Yorkshire Regiment, transferred to (147480) Royal Engineers. Son of the late Edward and Margaret Brown, of New Brancepeth Colliery, Durham. Died at home 4 January 1921. Aged 31. (The medal rolls index card indicates that Edward Brown was a Serjeant. He enlisted on 2 September 1914, and served overseas. He was wounded in July 1916 and discharged (Silver War Badge) in June 1917. Possible that transfer to the Royal Engineers was to utilise his experience as a miner. 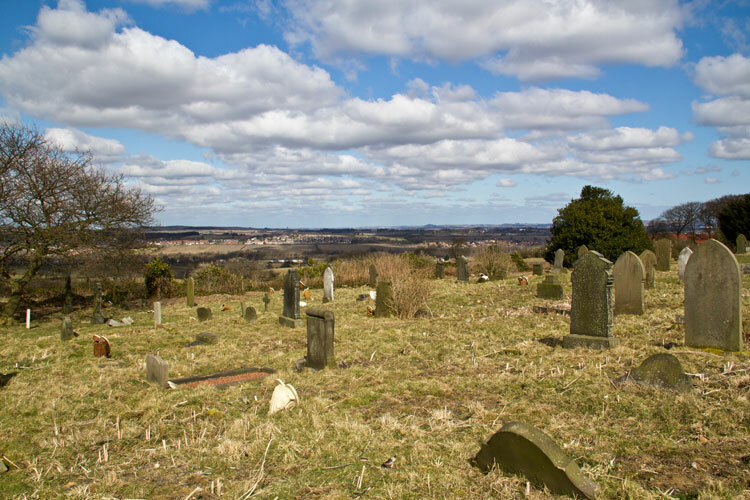 The view from Brandon (St. John) Church Cemetery towards Penshaw Mounment, - centre on the horizon.